Hang edible valentines in your yard for the birds! Get two pipe cleaners and twist one end of each together. 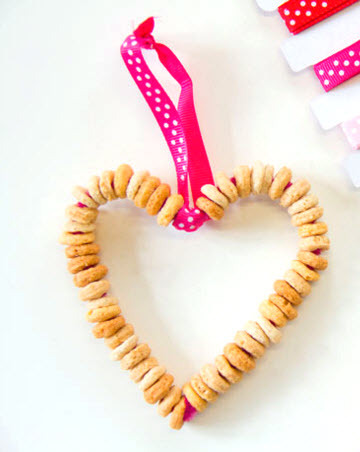 Bend the pipe cleaners into the shape of a heart, then thread Cheerios onto each side. Twist the other ends of the pipe cleaners together and tie a ribbon at the top of the heart.